The benefit of time and patience often rewards us with the true significance of an athlete’s activism. I have had a direct view of the changing way we digest sports and its news over the past 25 years. 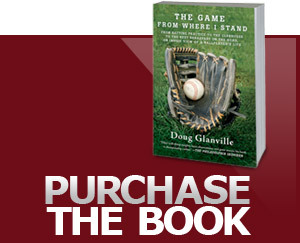 After nearly a decade in Major League Baseball as a player, I wrote extensively about life in and around the game, culminating with seven years on air at ESPN. One theme that was stressed as critical to my role as a sports analyst was the importance of access. It helped to know people on the inside to provide weight to that access. This could lead you to authentic first reactions to a potential story or could be the story itself. Then, for social media relevance, new metrics began to quantify your value. Being retweeted or “liked” now had professional significance. Fans also sought and were granted increasing entree to the complete world of athletes. The locker room, once a sanctuary, became open — and open to interpretation — just as hot microphones dotted the playing field for in-game audio. Soon we propagated time-sensitive videos capturing evidence to be vetted by a ravenous public. All was in constant review, whether or not a game was going on. We were in the know 24 hours a day, 365 days a year, as athletes created newsworthy content just by living. During my time on air, I didn’t even always have to frame that content: It was often revealing enough in its raw, unfiltered state. Just capture it. Now when we watch a game, it is more than a viewing experience. Technology allows us to receive analysis of what we are witnessing as it is happening, and it provides the means to send out our analysis to others. But through the eyes of the athlete, it’s a different picture. That analysis could be sport-related — a breakdown of your curveball or your historic success on clay courts — but it could also be personal, an arena where you have little control over the interpretation. Regardless, your visibility, whether you wanted it or not, comes at a price: the erosion of privacy and confidentiality. It is always game time. This makes me look at my playing career differently. I wonder how, if Twitter had existed then, I would have handled the public release of, say, my father’s illness, or pushing back against trade rumors coming from every direction when I played for the Texas Rangers in 2003. I viewed privacy as having the choice of whether to address a personal issue beyond my trusted circle. For public figures today, that choice is considerably more limited. As fans, we generally welcome these tidbits on the people we admire or enjoy as performers. We see a private side that can explain their drive or make them more relatable. Yet we do not want to go too deeply, given that the domain of their performance is often an escape for us. We don’t want to be bombarded, or even confronted with anything slightly uncomfortable, let alone politicized or polarizing. So the players can find themselves in a quandary. This social world that can build a brand, even raise an army of followers, is the same social world that is insatiable in its demands and expectations. The athletes are always a walking story, not just their story, but potentially for proximate strangers who can selfie or photo-bomb themselves into prominence. It’s true that the simplicity of “the game” went out the window long before football players knelt in protest. For years now, fans have been going to stadiums that are more like family entertainment centers, where the game is not enough. When you watch games with or on phones, even if you’re at the ballpark, the pitcher’s windup can be interrupted by breaking news or maybe a reminder to pay your water bill. Fans from earlier generations reminisce about how it used to be. The times before the advent of social media — less noise, more sport. Just as I, an athlete from an earlier generation, wonder about the repercussions of a contrived reality. The observer interfering with the experiment used to be a concern, but we have moved to an invisible observer being part of the experiment. Now as we split the athlete’s time into thinner tranches, he or she is always on the record. And if we are on top of everything an athlete does, we see the blemishes, real life converging with real time. A consequence of the red camera light being perpetually on. There is little time for reflection in these environments, so naturally we see everything as is, including some issues we would rather not see when we pop open a beer and tune in to “Monday Night Football.” The lines blur between an athlete’s pain and our escape from the workplace, his spiritual reflections and our politics, her moment in the sun and our daily grind, her sorrow and our happiness. Yet for the athlete, there is little time to find other platforms to express much of anything given the moneyed and self-absorbed nature of the co-opted time in his world. Not unless he wants to miss the window, the news cycle of his moment. If he waits, he or his message runs the risk of irrelevance. That’s the fear. From Jackie Robinson to Billie Jean King, many have spoken out since the advent of sports. The benefit of time and patience often rewards us with the true significance of their efforts, even if we disagreed with their approaches or were uncomfortable along the way. These pioneers reminded us that change is always unsettling and that silence changes nothing. Many of these athletes are now letting us know that we are not listening well, not remembering sport’s longstanding relationship with activism, that in our rush for the bottom line they have been reduced to sound bites and clips, providing little room to address anything in great depth. In turn, we have lost the helpful pauses, periods, ellipses, deep breaths and perspective-granting exercises that allow for collaboration, dissent or dialogue. We cannot have it both ways. Know everything but learn nothing, see everything but be blinded, count but not allow someone to matter, hear everything but not listen. The players are now responding to our escalating voyeurism with intimacy. Will we reciprocate — or put up a two-way mirror? Photo: Spectators at Citi Field.